Glass and Mirror Company. 14 years of Experience. Client oriented. "Glass and Mirror NYC is the local mirror and glass repair store you can trust. In fact, we're the shop for anything glass in your home—custom mirrors, tabletops and showers, along with replacement window consultation or door repair. Take advantage of our free in-home consultation and the expertise of our employees. From taking measurements to cutting, edging and installation, we're your go-to place for glass repair. Did a soccer ball hit your sliding glass door just right? Weed eater kick up a rock against your window pane? Aren't you glad local glass experts are just a phone call away? Our specialists are available for a free window repair consultation at (929) 888-9886. 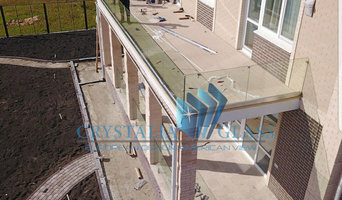 We'll work with your insurance company and help get your house secure from the weather until the glass is installed. We've got much more to offer than repairing windows. We're a glass company for all your home decor. We offer free onsite estimates in new york for all installations, so call today to schedule yours. Pacifica Glass is fully licensed, bonded, and insured, and we have an A+ rating with the Better Business Bureau."